Product #1666 | SKU 131DD | 0.0 (no ratings yet) Thanks for your rating! 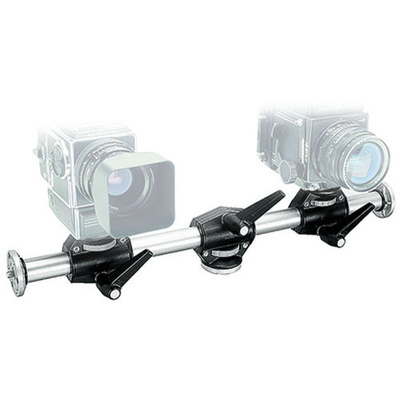 The Manfrotto Cross Arm - Double End with Double Head Support 131-DD mounts 4 heads on any column with 3/8' thread, this side arm allows positioning of two heads on a 90° perpendicular angle. Two positional head mounts on the side arm allowing the possible mounting of four heads.